I have owned an Apple iPad 3 64G WiFi and 3G since 2012 and would classify myself as a, heavy tablet user. I use my iPad for all my social media, blogging, photos, films and music. I don’t play games very often but I will own up to having a mild Candy Crush Saga compulsion. So when my husband suggested I get the new Kindle Fire 7″ 64G WiFi and 4G tablet, I weighed up the advantages of owning one. I don’t use my iPad to read books as it is quite a heavy piece, of hardware to hold for hours but with the kindle Fire I can read books like Miss Peregrine’s Home For Peculiar Children and various cookbooks and enjoy the graphics rather more than I do on my Kindle Voyage. The other huge advantage of having the Kindle Fire is the ease of access to my audio books and the audio component on many of the kindle books I have purchased. I have Amazon Prime and the quick access to Instant Video and in HD, no less, is also an advantage. The Fire tablet came preloaded with a headphone 4 G SIM and for £25 I get 90 days of data and a £5 voucher for apps. All the apps I use regularly on my iPad are available for the Fire too, bar google+, which I hope is something that is rectified soon. I was delighted to find even the Fitbit app was readily available. The biggest improvement I find is the speed at which apps currently work on the Fire and the Dolby stereo sound from the speakers, which although not benchmark sound quality, is still better than the sound I get from the iPad speakers. What have I had to give up? Well ease of holding a, lighter device means I have a smaller screen than I had with the iPad and I don’t have a back facing camera, on the Fire. I also cannot take screenshots, which is a handicap when it comes to posting photos on my blog. The size of screen isn’t something that bothers me because the quality of the HDX screen is superb and unlike my dated Apple device, which has lost its oleophobic coating and is covered in finger smudges as quickly as I wipe them away. I have an iPhone too and my calender on my iPad and iPhone are synced through icloud but now although all my engagements on the Fire are on Amazon Cloud, I have to manually enter them again on my phone. Of course this situation can be easily remedied with the purchase of the new Kindle Fire Phone but until I can use my virgin SIM card in it I won’t be rushing to buy one just yet. So my overall I impression of the Fire HDX tablet is favourable. I do like the device and being a heavy tablet user I have swapped over with little effort. I am not an avid gamer but I do like my books, films and music which makes the Fire HDX a good choice. I still have my iPad but I think I may be holding onto it for photos and security rather than anything else, although I could just as easily use my iPhone to take photos and upload it to Amazon Cloud Drive. The origami cover that I purchased with the tablet albeit ugly, is very useful and easy to hold. The user friendly Fire HDX gets the thumbs up from me. I have been tempted myself to a kindle treat, not yet done so though still using our iPad. I like the sound of the screen quality, even more tempting !! The bigger 8.9″ tablet gives you front and back facing cameras. I got fed up of fighting husband for tablet in the evenings, he said he didn’t want one himself but can’t seem to keep his hands off my iPad! 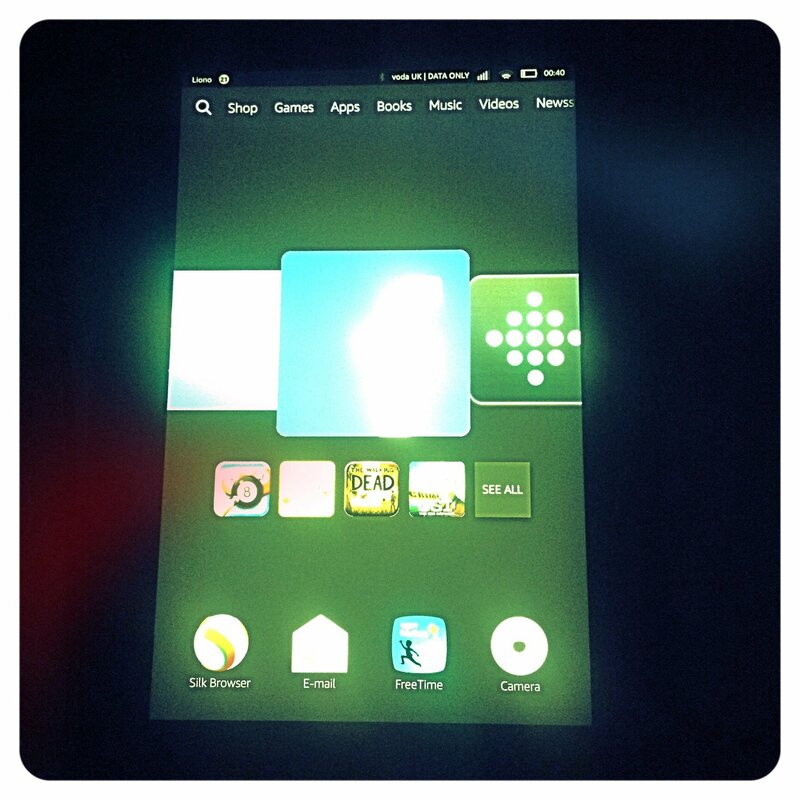 I have seriously been thinking of getting a Kindle Fire. Thanks for review. Good information. The fast access to apps, music and video make it a good option to consider. I am loving mine too.